We are excited to announce a partnership with WarfareSims (www.warfaresims.com) to bring the air and naval warfare simulation and strategy game Command: Modern Air/Naval Operations to customers in the near future! 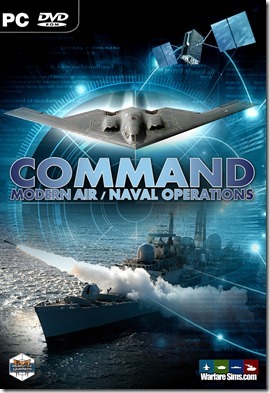 Command: Modern Air/Naval Operations features a very realistic modeling of air and naval warfare strategy where players take command of modern military operations from post-WW2 all the way to the near future, primarily in a tactical or operational scale. While still in development, Command: Modern Air/Naval Operations aims to set a new benchmark for depth and realism in modern air and naval wargames, with detailed modeling of aircraft, surface ships, and submarines, along with multiple historic and hypothetical conflicts, complete with an integrated scenario editor. The full announcement is here. Matrix has also opened a dedicated forum for the game on their website, and WS members will be there as well to interact with the players community.